What kills a marriage? Most people probably think of something terrible like cheating or hiding a major secret. Those are things that can do it, but we sometimes worry so much about what might kill a marriage that we forget to nurture it. In other words, it’s not enough to not do bad things to each other; you also have to do good things for one another. 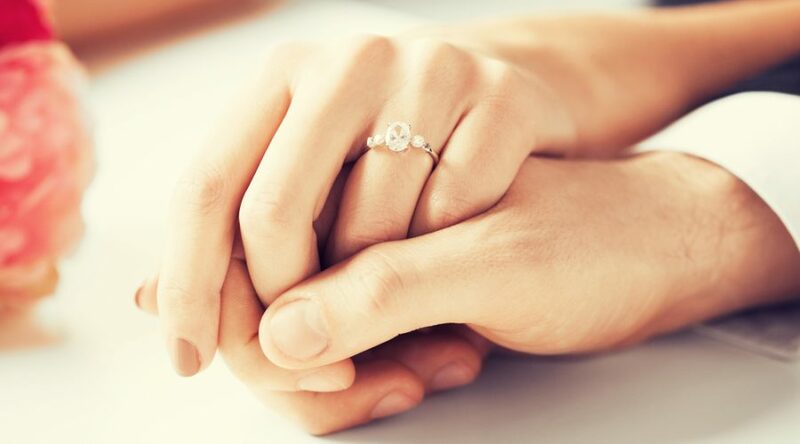 Growing apart is one of the biggest ways for a marriage to slowly die, as the compatibility that seemed so natural in your early days gives way to a sense of complacence. Make sure to take time to celebrate each other. One of the best ways to do that is to make a big deal out of anniversaries, especially milestones ones like the 10th, 15th, and 20th anniversaries. It’s easy to thing of the early years of your relationship as the “honeymoon” years, but experts say those years are actually when two people start to create patterns that will persist throughout their relationship. For instance, if one person always cooks dinner in the first year or two after a couple gets together, they may very well be assigned the role of chef for the rest of the relationship. A pattern can very well become a rut, and that’s especially true of anniversaries. Some couples getting the habit of vowing to do something special every year, then getting so overwhelmed by work and kids and life that they end up “celebrating” by falling asleep on the couch in the middle of eating leftovers for dinner. An anniversary shouldn’t be simply another item to check off on your to-do list. It should be a way of saying to your partner, “You mattered to me then, and you still matter to me now.” Don’t assume your partner knows how you feel about them if you haven’t said a tender word to them in months. To avoid another routine anniversary, have a conversation two or three weeks before the big day. So what if one of you is having a stressful time at work while the other is in the middle of final exams for their RN to BSN degree program? There’s always going to be some reason not to make time for each other, so schedule a date even if it’s not on the exact anniversary of your wedding day (though it shouldn’t be more than a week or so after it). There’s no rule that you have to go out for a fancy dinner, but you should try to take each other out on an actual date with a sense of romance. Routine kills romance, and this is a chance to revive it. You can go to a movie, go bowling, go for a hike, or whatever else makes you feel connected. You should also agree to exchange gifts at some point in the night. Personalized gifts are the best way to celebrate the fact that you haven’t just been together for 10 or 20 years; you’ve been together for all those years and still like spending time with each other. The divorce rate is sobering, but plenty of couples have a marriage based on nothing more than a sense of obligation. If you’re together with your spouse because both of you truly want to be there, then that’s worth cheering about. A personalized book documenting your relationship is one idea for great anniversary gift for your wife. Writing down your feelings is often easier than saying how you feel out loud. Creating a book allow will you to think about moments like the first time you knew she was The One and the craziest thing the two of you ever did together. When the book arrives, you can pour some champagne and look through it together. By the time you turn the last page, you’ll both feel grateful for the past and excited for the future.